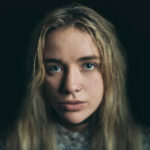 Airling (Hannah Shepherd) is fast becoming one of the most talked about young artists in the Australian music industry with her own twist pop music. A fantastic grounding in her first 18months: the release of her debut EP “Love Gracefully”, the hugely successful track ‘Forces’, Airling co-wrote with Japanese Wallpaper and featuring her own vocals, and already gracing the stage across many of the major music festivals and venues in the country (Laneway, Splendour in the Grass, Falls Festival The Opera House, The Forum). Now with the release of her bare all, soulful pop debut album “Hard to Sleep, Easy to Dream” Airling is set to capture the hearts of all music lovers across the globe. The future of Australian music is looking extremely bright with Airling leading the way.